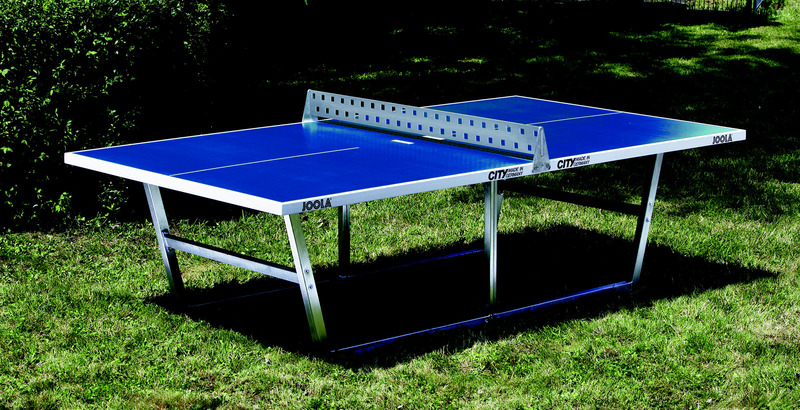 Take your table tennis game outdoors with the JOOLA City Outdoor Table Tennis Table! The JOOLA City Outdoor Table is completely weatherproof thanks to new JOOLA technologies. It features a sturdy 22 millimeter surface made of acrylic resin and silica mixture that ensures a consistent ball bounce and a weatherproof solid undercarriage made of solid steel rectangle tubing that is hot-dip galvanized for support and longevity. Good luck finding another outdoor table as weatherproof as the City Table! It has been tested against not only normal weather conditions, but also against frost, heat, UV radiation, and temperature fluctuations. This table's solid weight (400 lbs) is perfect for outdoor public spaces, however, it can easily be assembled by only two people due to its lightweight separate parts. 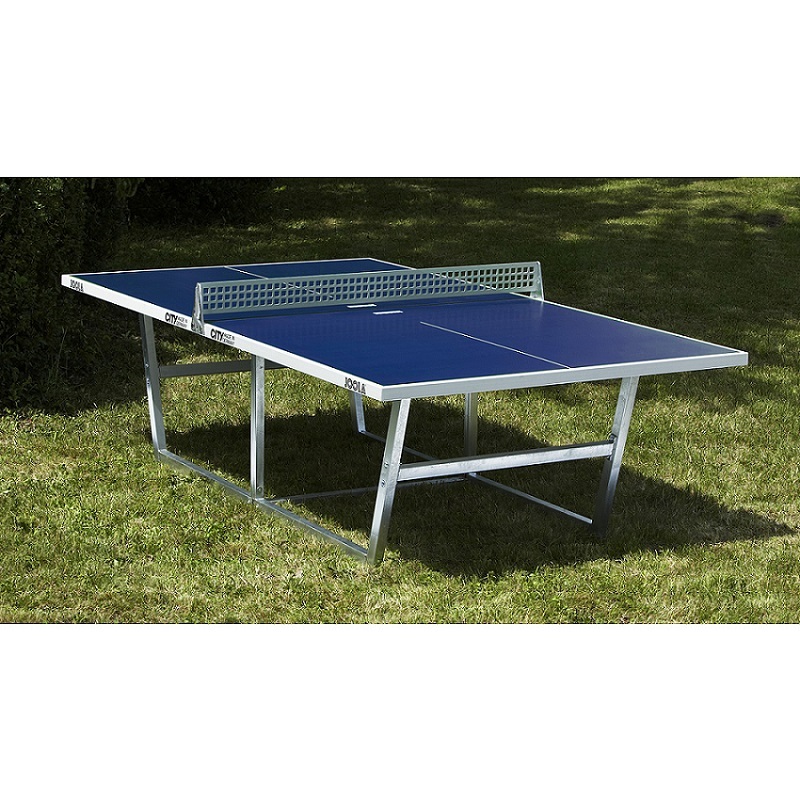 Table tennis is no longer restricted as an indoor sport... Get outside and play! Made in Germany. Start playing like a champion with equipment developed for champions! JOOLA is a proud sponsor of USA Table Tennis.